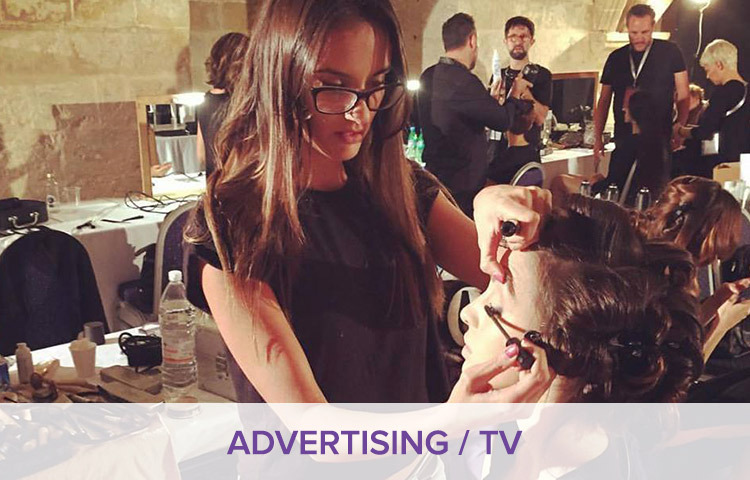 With technology constantly progressing when working on set for TV purposes: Adverts, TV programs etc, only the highest quality HD make up is used. Combining it with airbrush makeup which is seamless (no brush stroke is visible), flawless and long lasting minimal touchup is needed. Therefore not much time is wasted on reapplying make up.